Absolute Hardware supply quality fieldgate, stable and tack room hardware alongside essential grooming and yard accessories all at affordable prices. We offer equestrian products in 4 categories; Grooming, Stable AccessoriesStable Accessories, Stable IronmongeryStable Ironmongery and Tack RoomTack Room - with some examples of the type of products we sell so as to point you in the right direction. Helping to get the chores done; hose tidies, hay nets, bedding forks, buckets etc. FIELDGATE HARDWARE, LATCHES, CATCHES AND LOCKS, CHAIN RINGS AND STAPLES, GATE BOLTS AND WHEELS AND MORE! 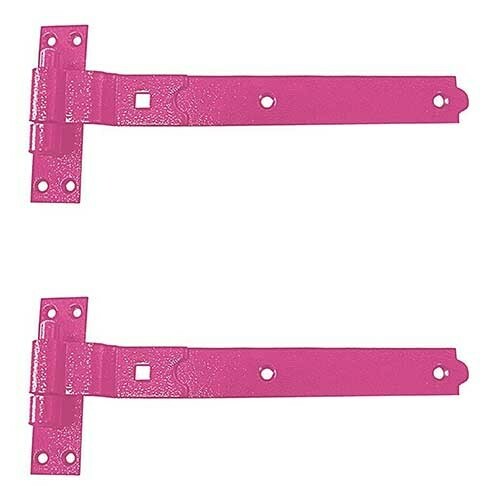 Stocking a wide variety of gate and stable hardware from reversible hinges, cranked hook and bands, tee and strap hinges to latches, catches, locks and bolts we stock the ironmongery you require to ensure your stable doors and fieldgates operate they way you want (both ways, hands free etc.) smoothly and securely every time, for years to come. Made from quality mild steel for strength, we offer the more traditional line of finishes such as galvanised for a superior weather resistance and rust protection, zinc for a brighter appearance or self-colour which is offered for the customer to add a finish of their choosing. For the more adventurous customer, we have a range of vibrant coloured ironmongery that is sure to make your stable and field stand out of the crowd! Caring for your horse or pony is key to ensure their continued health and well being. Chores such as hoof picking, bathing, combing the mane and tail and currying require quality tools to ensure a quality result. 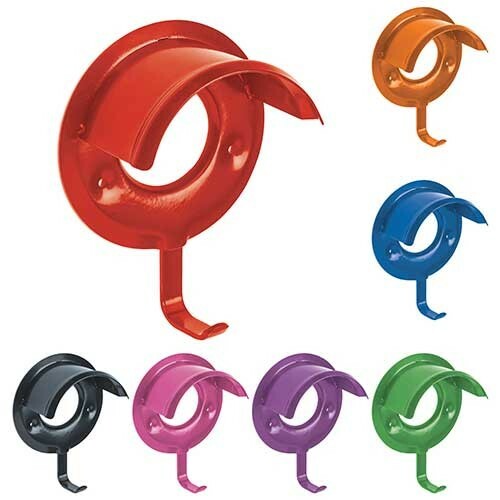 For a helping hand in caring for your horse and to complement the range of colourful stable ironmongery available we have a collection of grooming essentials all available in various bright colours - but don't worry if bright isn't your thing, we do offer black as well. Are you looking to replace your curry comb or dandy brush? Why not get organised and purchase our super useful tack tray! 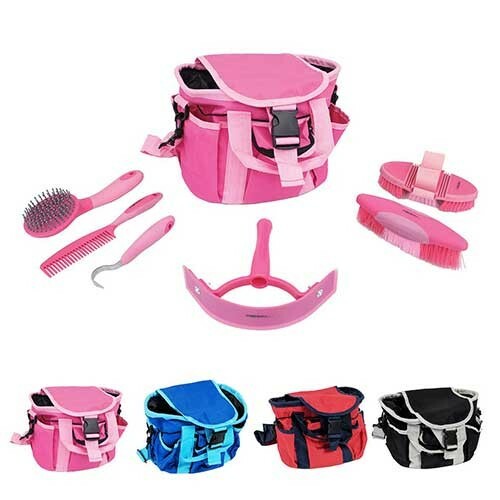 If you are new to equine care or are looking to for a whole new grooming kit we have a 6 piece brush set complete with handy carry bag, just choose a colour and away you go! Tack room hooks, stall chains, folding saddle racks, bridle hooks and stable hangers - Let's get organised! Keeping tack room tidy and organised will save space and help you get those everyday chores done more efficiently. Instead of doing multiple trips fetching and carrying and to make carrying those heavy buckets of water or feed that bit easier, maybe you could benefit from a tack trolley? Organise your reins, bridles, halters and more with our tack and bridle hooks, collapsible rug and saddle rails and stands, we even have handy hangers and welly racks for your riding gear too! All made from mild steel for strength and durability and available in a variety finishes including an array of vibrant colours ensuring your space reflects your personality. 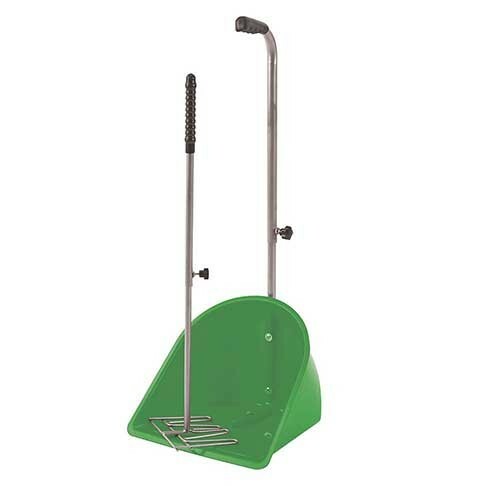 We have some of the essential stable accessories you need to make feeding and watering your horse easier and to make sure their stall is kept in tip-top condition - we all like a tidy home and your horse is no different! And with our colourful range, you will always know where your kit is!